A wonderfully sweet blue day gown by Feltman Brothers to take his first picture in at the hospital and then to bring him home in. 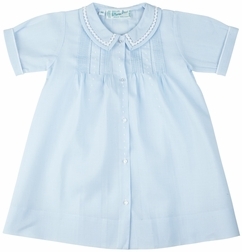 Each gown is made of soft cotton batiste, and is decorated with entredeax and pintucks. 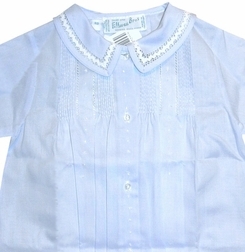 The little gown is also perfect for a shown or new baby gift.